ACWC is offering complimentary initial exam! Make a Valentine for a loved one at our office! We have the supplies to decorate your own. Just stop in or give yourself extra time during your next visit. We will give you a gift certificate for a free initial exam for that special someone. We will be happy to mail it for you! If you have had a recent accident (ie fall on the ice, car accident, injury at work, sprain, etc.) then you MUST be seen for a Re-Exam before your regular appointment with Dr. Candice. Please, do not show up for your regular adjustment with an injury, as our schedule may not allow for the extra time that is required by Dr. Candice to do a special Re-Exam with you. Thank you for understanding! Have you utilized our library lately? You are welcome to check out books for 2 weeks at a time. Many different topics to choose from! "Learn to Muscle Test 101" will be held the last weekend of February and "Muscle Testing 102" will be coming soon. Make your reservations today! Saturday, Feb. 25, 10 am-12 pm. February is American Heart Month. Show your heart some love by taking care of it! Total Heart is helpful for support of heart and blood vessel health, and all cardiovascular functions, such as blood pressure, workload capacity, etc. Utilizing hawthorne berry extract, which may help increase blood flow to the heart by dilating blood vessels, increasing the strength of heart contractions, and relieving spasms of arterial walls, this formula gets results! Also includes Co-Enzyme Q-10, which has been shown to have antioxidant properties protecting against oxidized cholesterol. Known to eat up free-radicals, stabilize cellular membranes and may protect against antherosclerosis, which is hardening of the arteries. Co-Q-10 also helps strengthen the heart muscle and the cardiovascular system in many heart patients. Get your hands on this amazing product while it's on sale! Homocysteine is a toxic substance that is becoming the next household word associated with the likes of cholesterol in the risk for heart disease. Homocysteine Redux was formulated to totally support every aspect of the biochemical reactions in the pathways, which when is functioning correctly, provides proper liver detoxification, adrenal health and building blocks for joint/connective tissue. Adding Homocysteine Redux to your regiment may decrease your risk for heart disease, artherosclerosis (hardening of the arteries), clots, vascular, ocular, and skeletal complications, osteoporosis, Fibromyalgia, depression, diabetic complications, Parkinson's, Alzheimer's, MS, rheumatoid arthritis, miscarriage, and all complications of impaired sulfation pathways. And don't forget to take your magnesium! Magnesium is so vital to so many bodily processes, and deficiency can contribute to a wide variety of conditions, including abnormal heart rhythm, muscle tension, muscle spasms & cramps, stress and fatigue. We offer Natural Calm magnesium supplement if you don't already have some. 10% off all teas in February! 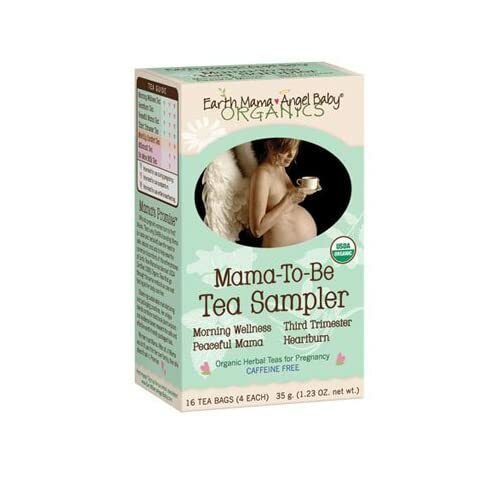 We have a variety of Earth Mama Angel Baby teas available for purchase in our office. Among the teas we are highlighting this month are: Milkmaid Tea, Peaceful Mama Tea & Mama-To-Be Sampler pack. All Earth Mama Angel Baby teas are certified organic, and come in easy to brew individual teabags, which are biodegradable. Each box contains 16 tea bags. Makes a great Valentine gift for that special pregnant/new mommy in your life! We are also offering 10% off our entire line of Traditional Medicinals teas. Come in and check out our selection while it lasts. Nothing Says "LOVE" like a Massage! Give the gift of relaxation! Buy a massage gift certificate for yourself and your Valentine for only $40 each. Ivy Nadeau, LMT, and Kelley Ghorashi are our on-site massage therapists, who are skilled in various massage techniques. Add cupping for $12.00 or cellulite treatments for $25.00.